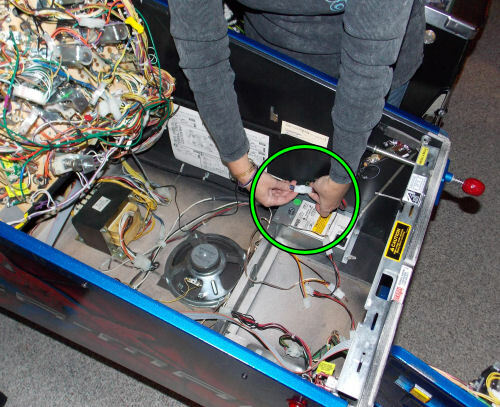 Additional Power Supply Information: Stern SAM System games and Sega Whitestar System games (Twister (1996) or newer) use a 12v/5v power harness that is near the front right side of the inside of the cabinet. This 3 hole hookup is often used for various aftermarket mods. You will want to make sure this power connection is not already being used in your game. If it is being used or you think you may be using it for something else in the future, you may want to purchase our Sega / Stern 12v/5v Power Splitter. Our Sega / Stern 12v/5v Power Splitter is NOT inteneded for use in Stern SPIKE System games. © Copyright SpeakerLightKits.com, 2018. All Rights Reserved.